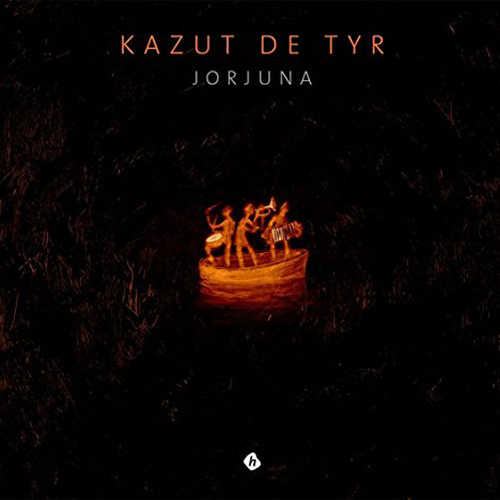 Following their taste for adventure, the breton musicians of Kazut de Tyr travel on oriental paths while remaining faithful to their musical heritage. Their music works its way in us like a language of the origins, made up of modalities, micro-tonalities, ancient scales, mingled together and echoing from here to there. 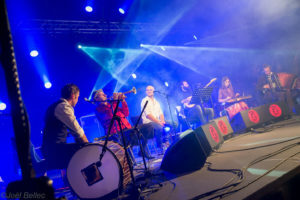 For almost ten years, through encounters, collaborations and travels with artists from Eastern Europe and the Middle-East, these musicians developed their particular sound. 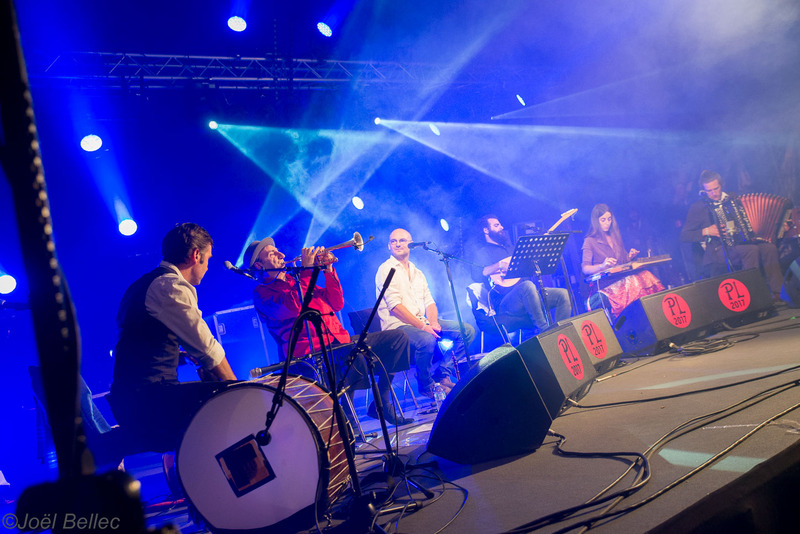 In 2013, together wtih Wyria Ahmed from Kurdistan, they founded the Dengekan group which toured in France and Irak until the situation forced the group’s collaboration to an end. 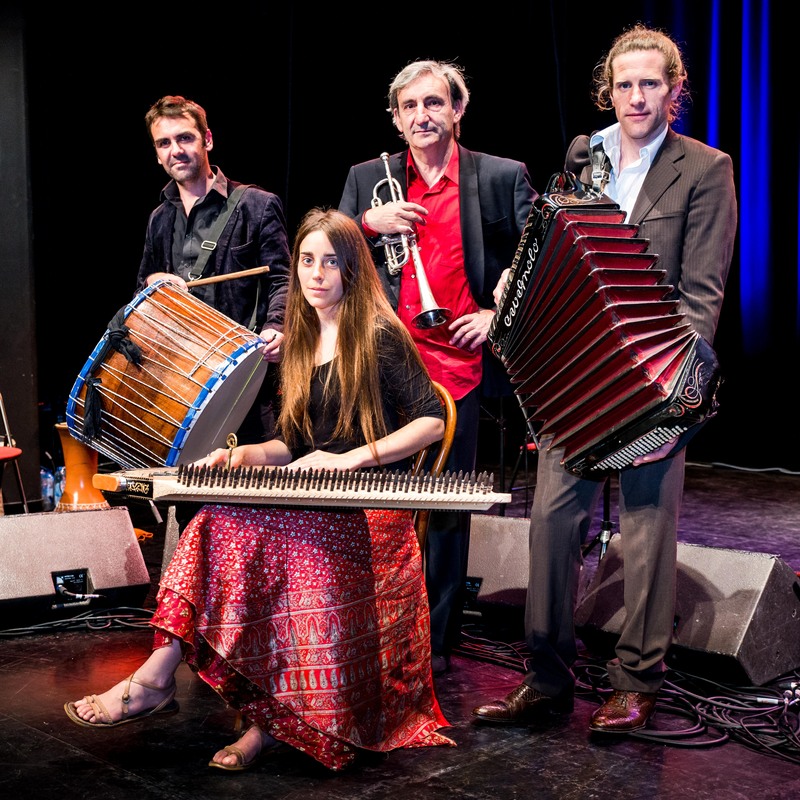 The breton trio then decided to take-up the kurdish repertoire again, mix it with the Breton repertoire and ask Kamar Kani, a Kurdish singer met in Erbil in 2013 – now a political refugee in France – to join them for the recording of Jorjuna. 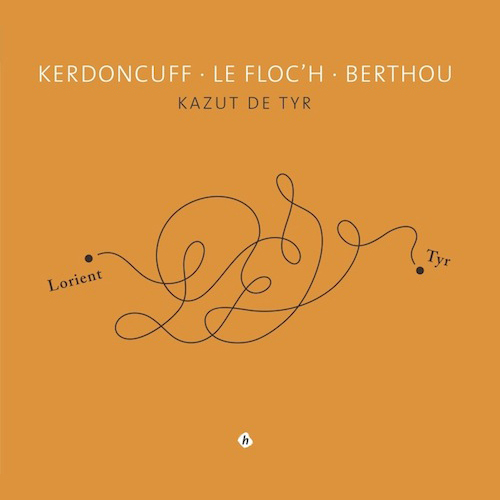 Gaby Kerdoncuff is a many-faceted musician combining breton roots and travel. 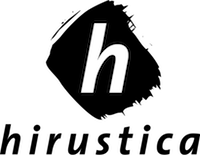 He has developed a number of projects in the Middle-East. 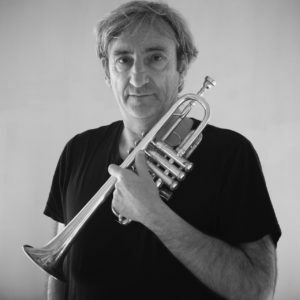 Formerly trumpeter of “Pires”, composer, arranger, director of clips and musical documentaries, he traveled for some time in Rumania, especially with Erik Marchand and the Caransebes Taraf. He then went on commuting between Bretagne (Jabadao/ The Cooperative) and the Balkans, Macedonia (Gipsy Burek Orkestar), the Middle Esat (Khoury Brothers All Wasan/ Kazut de Tyr) and Kurdistan with Wirya Ahmed with whom he founded Degekan. Maëlle Vallet, based in Tregor, Maëlle Vallet trained as a harpist. Her encounter with the Breton modality led her to investigate new ways of playing the harp. She eventually came accross the qânûn, a middle-eastern cithar with a wider range of colours and intervals. She studied with masters such as Mahammad Salah el Din – for the Egyptian technique – and Goksel Baktagir, for the Turkish style. Turning back to the Breton modality, she plays to-day the lower-Breton repertoire on the qânûn. She is presently engaged in developing a hybrid harp with levers borrowed from the qânûn which allow to explore the middle-eastern as well as breton modalities. Jean Le Floc’h accompanist, and initiator of musical groups (Termajik, participation to Kreiz Breizh Akademi, Al Wasan and Dengekan, and lately “le Bal Floc’h”) he has spent these last years recasting the practice of accordion to fit the charm of ancient breton non-tempered scales, developing a new model of accordion in collaboration with the maker Léon Gaboriau. 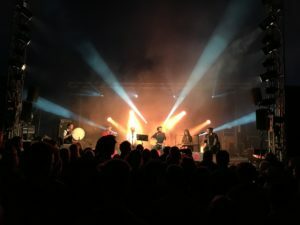 Yves-Marie Berthou first trained in classical and digital percussion before his interests drove him to traditional musics. After being initiated to brasilian and indian percussions, he joined a number of musical and theatrical groups : Yong Sothoth, Mazad Kafé, Fred Combo. Since 2004, he moved into balkanic and turkish music (Gipsy Burek Orkestar, Burek, Slonovski Bal, Dengekan, Ndiaz). He regularly works with macedonian, bulgarian and turkish masters. Diyarbekir. During his childhood he learns to play saz with his father and then studies music in high schools such as Marmara and Sakarya in Turkey. Since 2015, Ruşen lives in Paris and studies at the Sorbonne University to do a master’s degree in ethnomusicology. 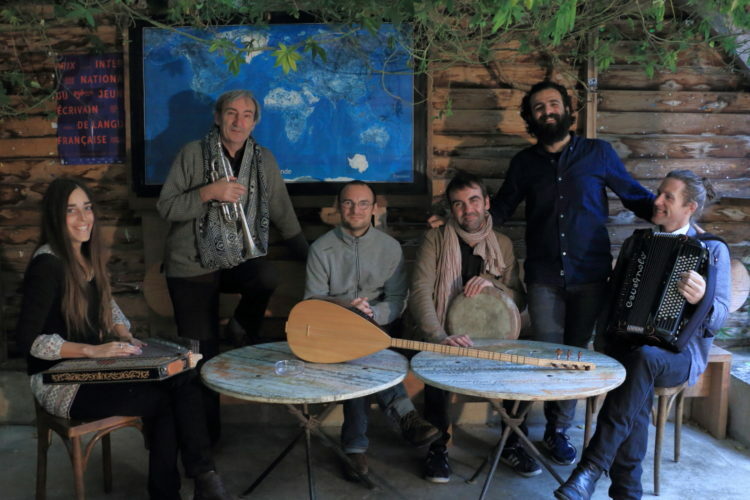 He is invited in festivals as the “Festival de l’Imaginaire” in the “Institut du Monde Arabe” in Paris, play in a Tony Gatlif’s film and also play with Jordi Savall. Eric Menneteau is a self-taught singer. Very soon attracted to tradional singing of Central Bretagne, he perfects his art next to masters like Maurice Poulmarc’h, Erik Marchand and Yann-Fanch Kemener. On its creation, he joined the Breizh Akademi where he studied modal music. Also interested in Addis Abeba urban music of the 70s, he sung with Badume’s Band untill 2010. 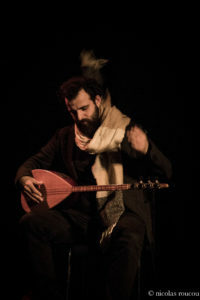 He presently sings in concerts and Fest-Noz and joined the Dengekan Breton-Kurdish adventure.